In a pan, add 3 cups of water and let it boil. Add salt to it along with 1 tsp of oil. To this add rice powder little by little and mix well. It should not stick to the bottom of the pan. Remove from the flame. Rub oil on your hands and mix it to make soft dough when it is hot. When it is of a consistency that it does not stick to your hands any more, make small balls out of it. 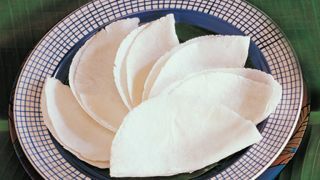 Flatter it with a pathiri press or a chappathi press with a little oil spread on both sides. Sprinkle rice powder on both sides and fry it on low flame. 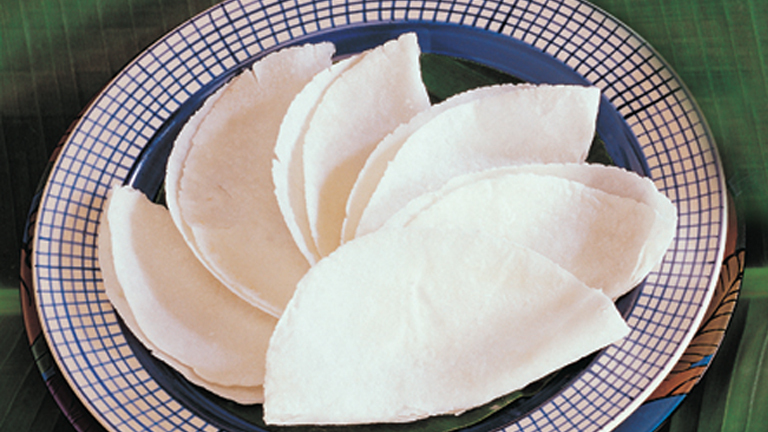 Press the center of pathiri with a spoon so that it fluffs in the center. This can be relished along with coconut milk.